Celebrate the hit Batman v Superman: Dawn of Justice film! 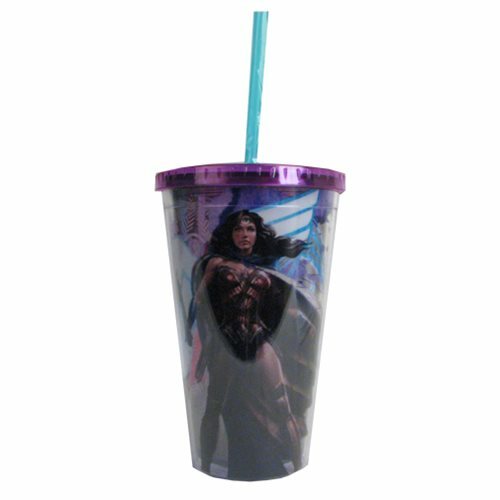 This Batman v Superman Wonder Woman Standing 16 oz. Travel Cup features the Amazonian warrior standing resolute, with sword in hand. Holds up to 16 ounces of liquid! About 10 inches tall with straw and 6 inches without. Do not microwave. Not dishwasher safe. Intended for cold beverages. Ages 14 and up.